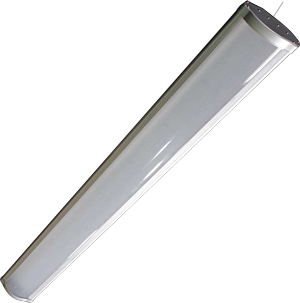 LED and T5 industrial, factory and warehouse lighting can be made with a WIDE BEAM. 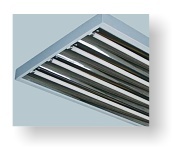 Both give immediate light which is ideal for energy-saving lighting controls such as motion or daylight sensing. Old-style sodium and metal-halide lights can't be easily controlled by energy-saving sensors because HID lights like SON are slow to start and cool down. 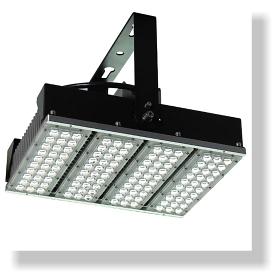 HOW DO I CHOOSE THE BEST INDUSTRIAL LIGHTING FOR MY NEEDS? 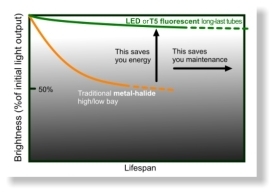 LED and T5 lighting stays brighter longer than HID discharge lighting so less initial brightness/power rating is needed and this saves even more energy. The results are lower running-costs, reduced maintenance, and often better appearance or lighting for staff. 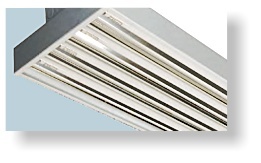 We design advanced energy-saving solutions no other company offers, such as GreenCat, our unique modificitation for recessed modular fluorescent light-fittings. The results are lower energy costs, and often better appearance or improved lighting for staff, students or visitors. 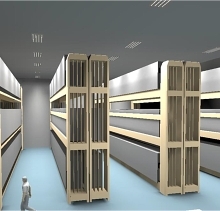 hotels to factories and warehouses, where payback can be as fast as 12 months. We can discuss funding arrangements and pilots to help ease your way.